Reading poli’s paper Paper He is exactly right in his description of the problem. He is exactly wrong in his analysis of it. This is disheartening. 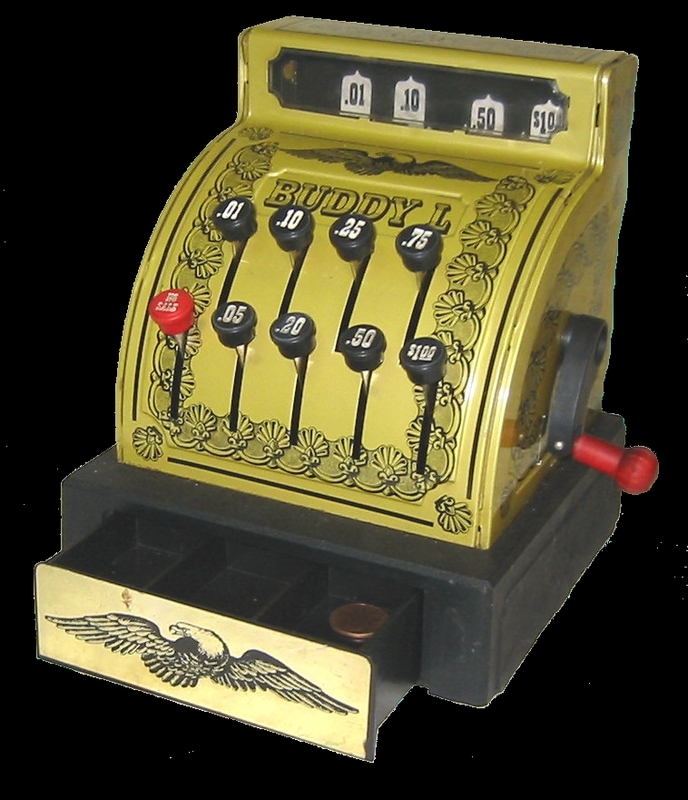 consider the above toy cash register. It has a double row of keys and a row of leaves that pop up when you push the appropriate key. the red key drops the leaves and the crank opens the drawer. The primary cause/effect is if you push the top left key the left leaf pops up. etc for the rest. Then here comes numbers, and we put these numbers on the keys and the appropriate leaves. now we can say “when we push the .01 key the .01 leaf pops up.” But we forget that we are the ones that put the numbers on the keys, and forget the primary relationship. So we end up with a situation where physicists, for example, perform mathematical operations on the numbers on the keys to try to understand the mechanics of the toy. It’s insane. But neither is reality. The reality, assuming this were a real cash register, is that someone came in and bought something. This someone is extrinsic. the mechanics and the numbers are intrinsic. There are two seperate but synchronous things happening in the cash register which reflect reality. The only difference between the cash register and the brain is the brain has 100 billion leaves and 100 billion keys. We think that we are in charge of the cash register, we are not (unless we’re thieves) we think we are thinking when we ring up the sale. we are not. we are only reacting to the guy handing us cash. No matter how we arrange the keys, nor what symbols we put on them. It ain’t real. Reality, and only reality is real. This entry was posted on September 26, 2010 at 7:51 am and is filed under Cosmos with tags brain, cash register, logos, mind, mythos, reality. You can follow any responses to this entry through the RSS 2.0 feed. You can leave a response, or trackback from your own site.